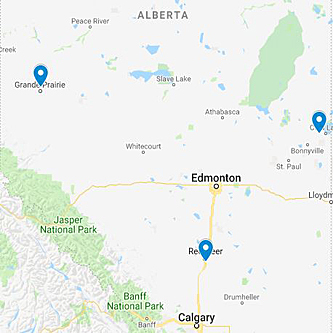 Dalco prides itself on listening to its clients and then working to find solutions to their unique corrosion challenges. 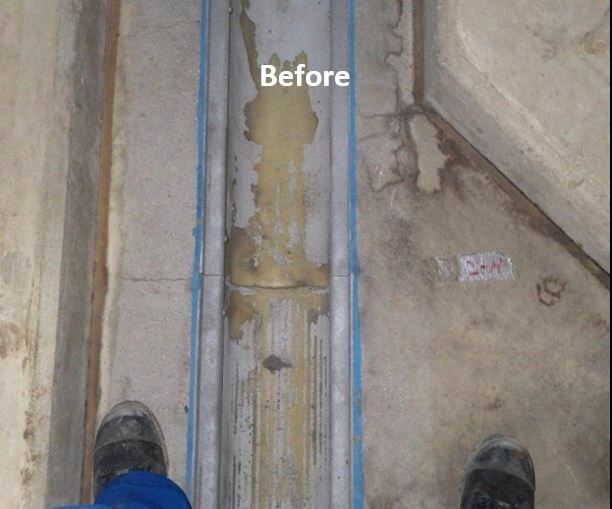 A client came to Dalco with a high temp fluid process trench experience cracks and leaks of the trench’s primary containment. These leaks were detected by the AER, and the client was required to come up with a solution to fix the leaks or the plant was going to be shut down. Cost to replace the 1300 linear feet of trench was estimated in the millions. The client required Dalco to design an economical replacement alternative that would satisfy AER, and even allow processes to continue. Dalco worked with client engineers to design a trench liner that could be installed over top of the existing liner. Isolating 100’ of the trench at a time to prevent any need for shutdown, Dalco abrasive blast cleaned the existing liner with Sponge-Jet dustless blasting technology. The prepared trench was then primed with SolarSeal UV cured polyester resin based primer. 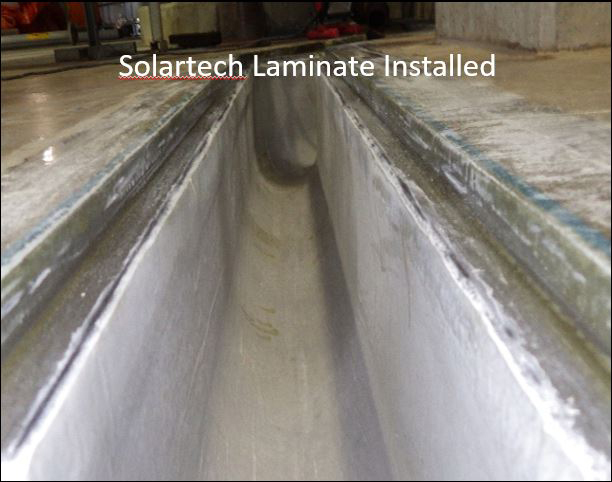 This was followed by the installation of SolarTech UV cured glass reinforced polyester resin based laminate sheets over the primed trench. The laminate and primer were then cured with a series of high powered UV lights. The 100% solids Resimac 205HT Epoxy was then applied over the laminate. 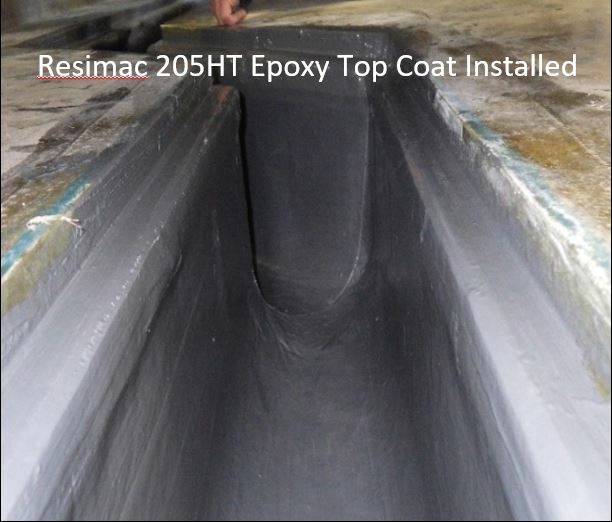 This top coat was brush applied to thickness of 25-30mils. The isolated 100’ of completed trench was then hydro tested by filling the trench with water. The final product was a completely encapsulated trench system that provided full compliance with AER at only a fraction of the cost for a full liner replacement.